In this post, we talk about the history of solar energy and how it developed throughout the ages. 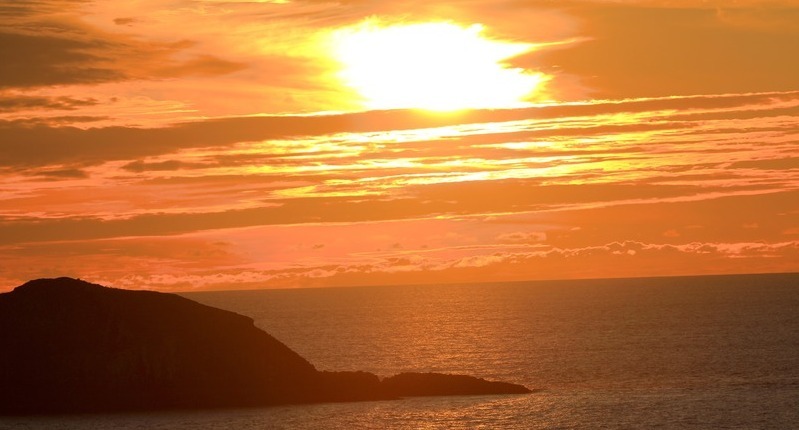 For thousands of years, humans have harvested sunlight. It started simply – warming rooms with large windows or starting fires with mirrors – and led to today’s complex photovoltaic power plants with millions of solar panels each creating electricity. Knowing the history of solar energy gives us a deeper appreciation for just how much work it took to get us to today’s modern solar technology. Below is just a brief overview of this story. In this video, Sol Power People presents a brief overview of the history of solar power. Cultures around the world used the sun for a variety of purposes before the 1700s. Ancient Romans placed large south facing windows in their bathhouses to let in the sun’s natural warmth. Around 20 CE, the Chinese used mirrors to light religious torches. Archimedes – so the story goes – even lit enemy ships on fire by directing intense beams of sunlight in their direction. Warming rooms by sunlight was so common in the Byzantine Empire that the government passed solar access laws (p.1257) – a predecessor of our modern variant – as part of the Justinian Code in the 500s CE. 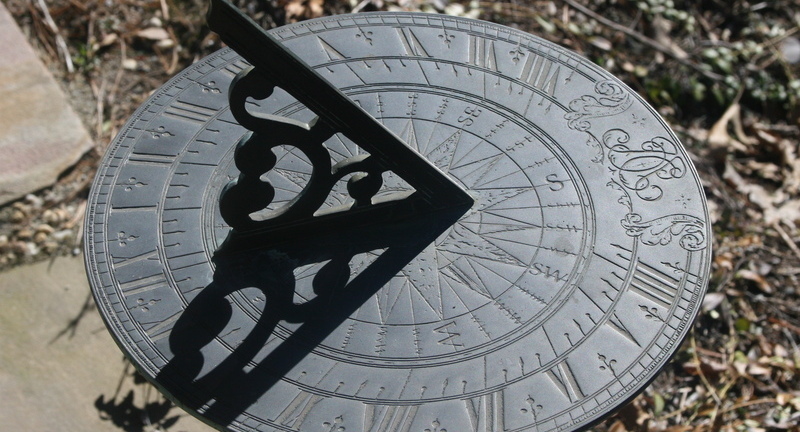 As part of the code, neighbors could not block sunlight if a homeowner previously relied on that sunlight for warmth, light, or operating a sundial. 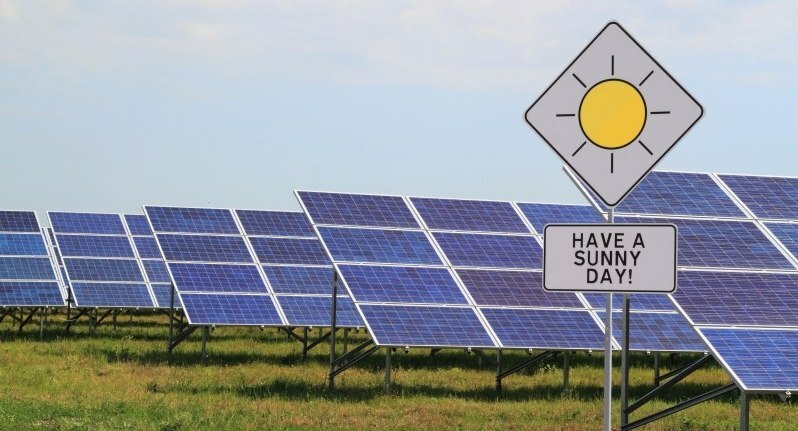 We don’t have to worry about the sundial part anymore, but solar access laws are still an integral component of solar rights legislation. Swiss physicist Horace de Saussure created the first solar oven in 1767. To test the device, he lugged the box 4,800 feet up Mt. Cramont in the Swiss Alps and compared the temperature inside the box at that altitude to the temperature of the box far below on the plains. He found that they were quite similar – meaning sunlight is as strong at high altitude as elsewhere. With this experiment, the scientific world took a huge step towards by beginning to experiment with and sunlight. Fast forward 80 years from Saussure’s solar collector and meet Alexandre Edmund Becquerel, a young buck from a family of French scientists, whose research not only led to the invention of fluorescent light bulbs, but also discovery of the photoelectric effect – the fact that some materials react to sunlight – when he was just 19 years old. This was the first direct step towards our now-common photovoltaic (PV) solar panel. In the mid-1800s Willoughby Smith, then the Chief Electrician for the Telegraph Construction and Maintenance Company, used selenium to test underwater cables and noticed that, when he performed his tests during the day, he the selenium produced much different results than at night. He experimented, testing selenium in dark boxes and underwater and found that the material was affected not the heat of the sun, but by sunlight directly. Two British boys, William Grylls Adams and Richard Evans Day, having heard about Willoughby’s experiments, decided to do some testing of their own. Using Willoughby’s bars of selenium, they successfully lit a candle an inch away from the bars. After more experimentation, they confirmed that the selenium was, in fact, producing its own electricity from light. Just 7 years after that, the story of solar moves across the Atlantic and lands in New York, where inventor Charles Fritts constructed the first solar cell out of selenium. Fritts hoped his electricity-producing solar cells would compete with the increasingly common coal-fired power plants, but his solar cells just weren’t efficient enough, as they converted only 1% of all the sunlight that hit the cell into useable electricity. As decades went on and more experimentation into photoelectrics took place, selenium generally fell into disuse as scientists discovered more efficient materials. Strangely enough, we can thank the telephone and humidity for our modern solar cell. Daryl Chapin, an engineer at Bell Labs, was working on ways to power telephone systems in humid environments. Batteries degraded too quickly, so he started looking at selenium solar cells. As Charles Fritts knew, though, selenium isn’t very efficient at turning sunlight into electricity. In walks two of Chapin’s coworkers at Bell Labs, chemist Calvin Fuller and physicist Gerald Pearson. They had been experimenting with introducing impurities into a different material, silicon, for semiconductor applications. After a few experiments involving lithium, they found that the amperage of their silicon jumped quite high when they shined light on it, much to their surprise. They already knew what Chapin was up to, so the two called him up and told him to ditch the selenium and start experimenting with their new silicon. After some experimentation, Chapin headed their advice. Working together for several more months, they finally perfected the silicon solar cell. 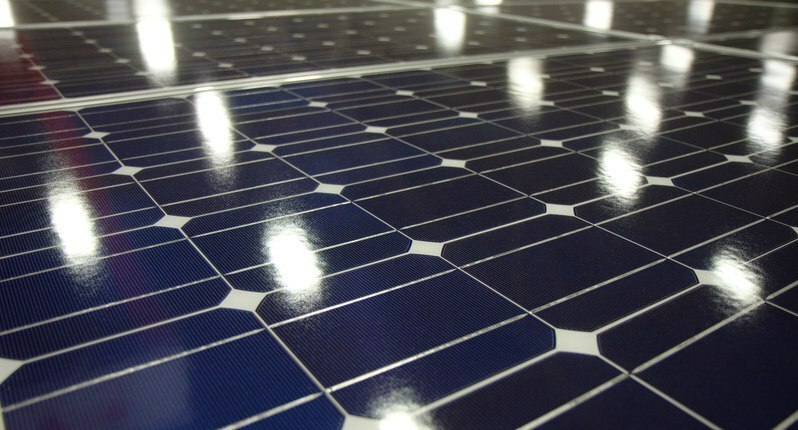 At 6% efficiency, it was much more powerful that any selenium-based solar cell that had come before. To advertise the new invention, Bell Labs powered a small toy Ferris Wheel to show how the solar panels worked. In 1955, Western Electric began commercially licensing solar panels. These cells were quite expensive to produce and purchase, so they really weren’t too popular, except for small applications like radios and toys, or remote equipment like satellites. 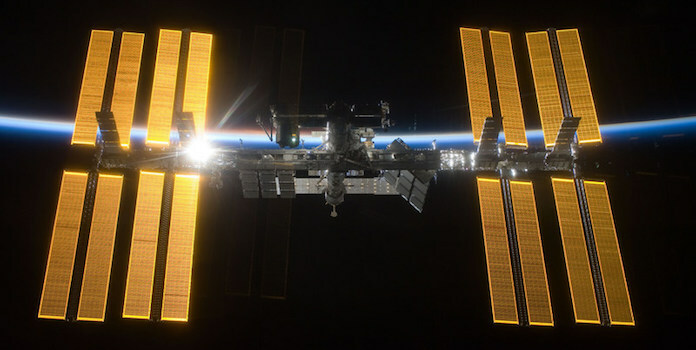 Miles away from power plants, and with batteries quite expensive, some scientists in the space industry began pushing for use of solar cells in their satellites. In 1958, Vanguard 1 became the first satellite to use solar power. The solar panel produced less than 1 watt and powered the satellite’s radios. That same year, three more satellites with solar panels were launched, starting a relationship between solar and space that lasts to this day. Ever since the invention of the first commercially available solar cell, and still to this day, research has focused on increasing efficiency of solar panels and lowering the cost. Just 16 years after the first silicon solar panel was invented, Hoffman Electronics – an American company making a variety of electronic products- created a solar cell that was 14% efficient. With today’s highest performing silicon solar cell hitting almost 28% efficiency, 14% is amazingly close to today’s common silicon solar panel efficiency of 15% to 16%. Up until the 1970s, the cost was solar panels’ main problem. They were just too expensive for common, everyday applications. Scientists had worked hard to increase the efficiency of panels, but now it was time to focus on bringing that cost down. Elliot Berman, an American industrial chemist, wanted to do something meaningful with his life. After researching what to do, he saw that there was a direct link between the availability of electricity and the quality of life and decided that solar energy was the best way to bring electricity to those who didn’t have it. Obviously solar already existed, so his focus was to reduce the cost of solar. But there was a problem: no one would back him financially. That is, until 18 months later, when Exxon (yes, the oil company) was looking into alternative fuel sources for the future and began funding Berman’s research. By cutting out unnecessary manufacturing processes and sourcing materials more critically, he was able to drop the price of solar panels from $100/watt to $20/watt, opening up their use to many new applications. That was a huge advancement, but the solar industry didn’t stop there. Today’s solar panels cost just $0.75 per watt (p.5), over 25x cheaper than Berman’s goal! In 1982, the world’s first solar power plant went online. The 1-megawatt solar installation in Hisperia, California, was built by ARCO Solar – a major solar manufacturer during the 1970s and 1980s. This solar installation is just a baby compared to today’s solar power plants, the largest of which in the US is the Solar Star power plant in Southern California, at a whopping 597 megawatts. And the rest, as they say, is history. The number of solar installations slowly climbed throughout the 1980s and 1990s. In the mid-2000s there was a veritable solar explosion, as cost plummeted and solar companies began using new financing mechanisms like leases and power purchase agreements to help homeowners and businesses install solar more cost-effectively, bringing us to today’s thriving solar industry. We hope you enjoyed this cruise through solar history. Did we miss any major landmarks? Let us know in the comments below!